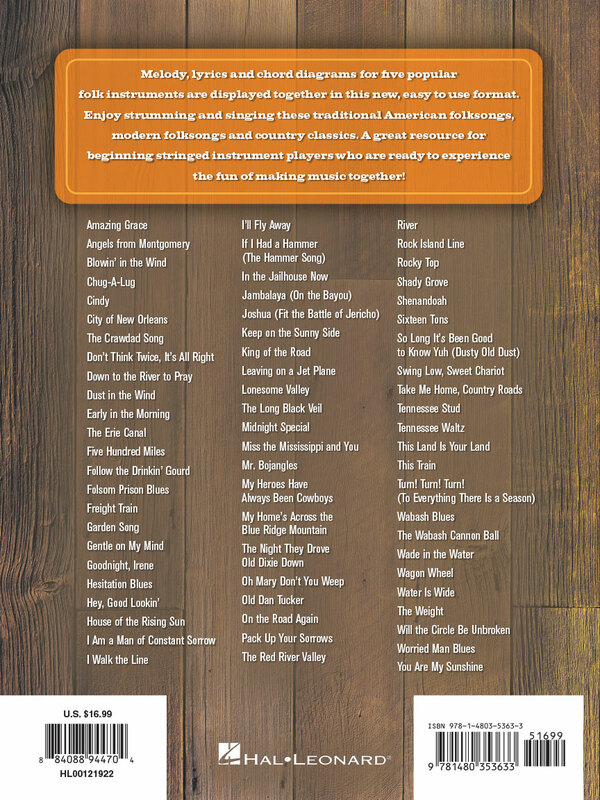 The Strum Together series enables players of five different instruments – or any combination of them – to “strum together” on 68 great songs. 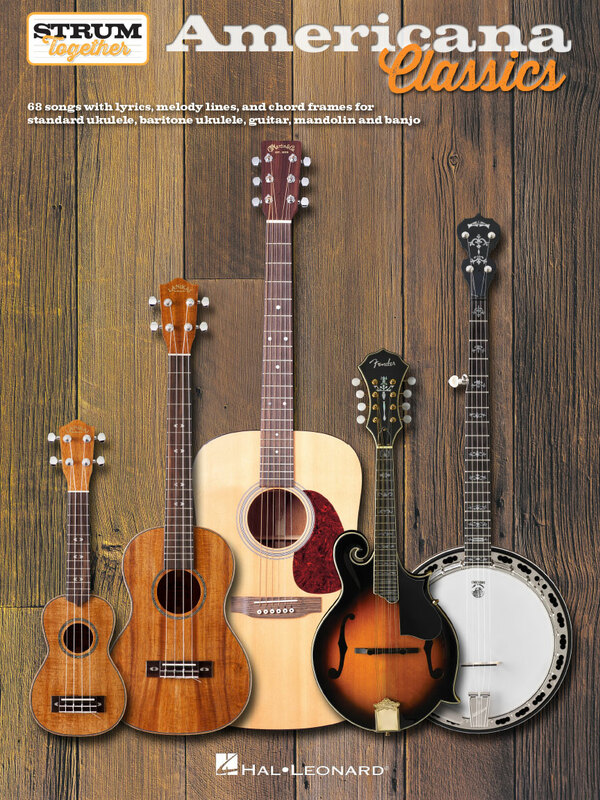 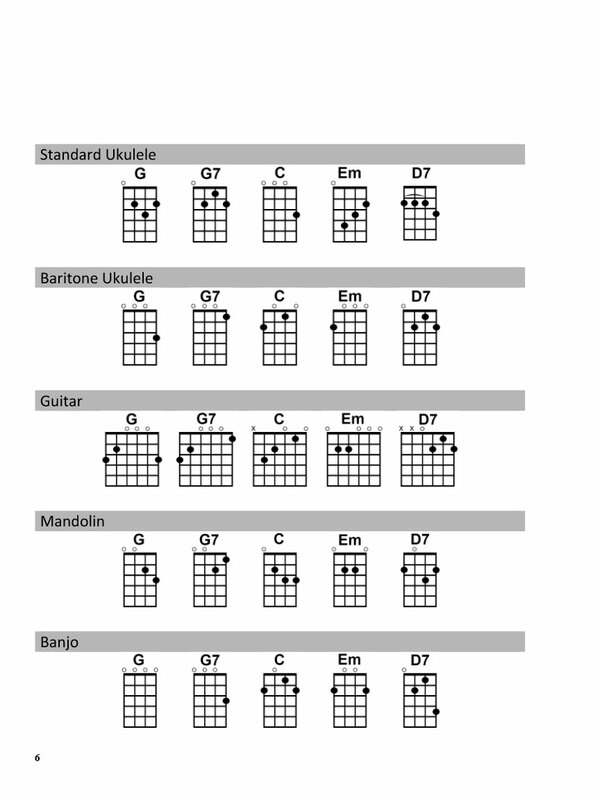 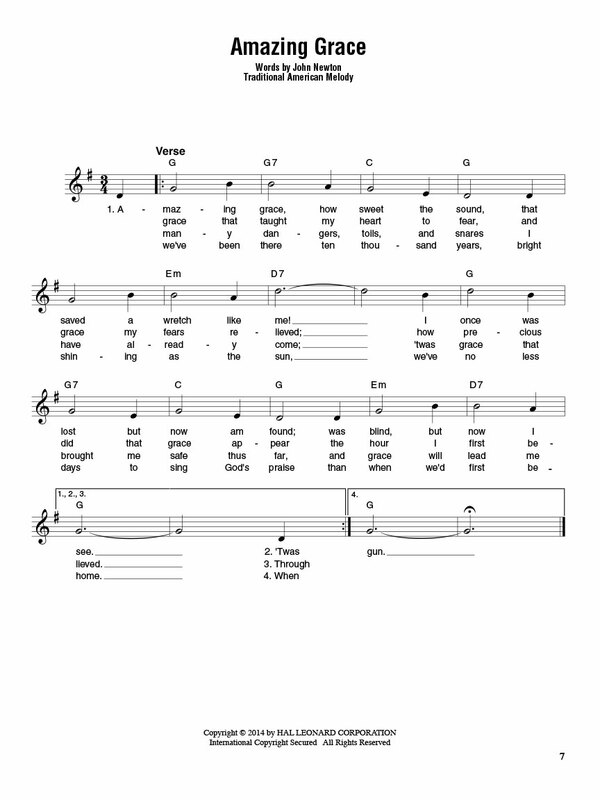 This new; easy-to-use format features melody; lyrics; and chord diagrams for five popular folk instruments: standard ukulele; baritone ukulele; guitar; mandolin; and banjo. 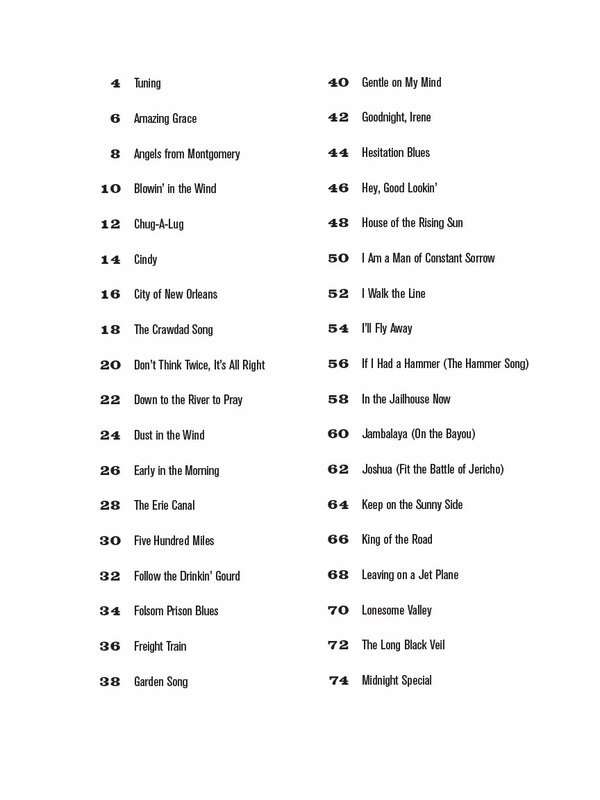 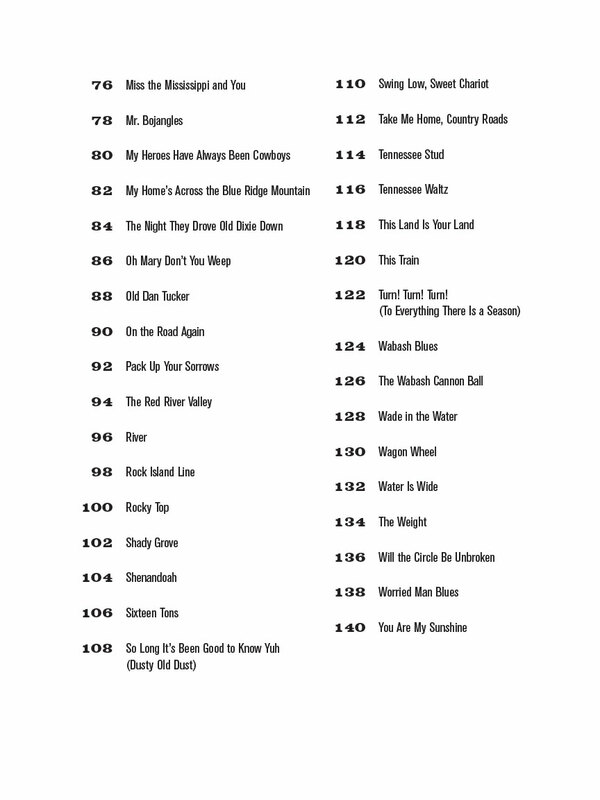 This collection includes 68 classic Americana standards and traditional folksongs featuring: Blowin' in the Wind • City of New Orleans • Down to the River to Pray • The Erie Canal • Folsom Prison Blues • Gentle on My Mind • Hey; Good Lookin' • House of the Rising Sun • I Am a Man of Constant Sorrow • Keep on the Sunny Side • King of the Road • Leaving on a Jet Plane • The Night They Drove Old Dixie Down • The Red River Valley • Sixteen Tons • Take Me Home; Country Roads • Tennessee Waltz • This Land Is Your Land • Wade in the Water • You Are My Sunshine • and many more.